A gunslinger of your talent never misses his mark. A good thing, too. You've only got one bullet left, but that's all you need to end Ol' Cooper's reign of terror once and for all. 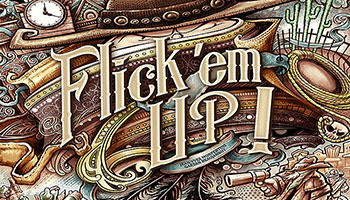 Welcome to the exciting world of Flick 'em Up! 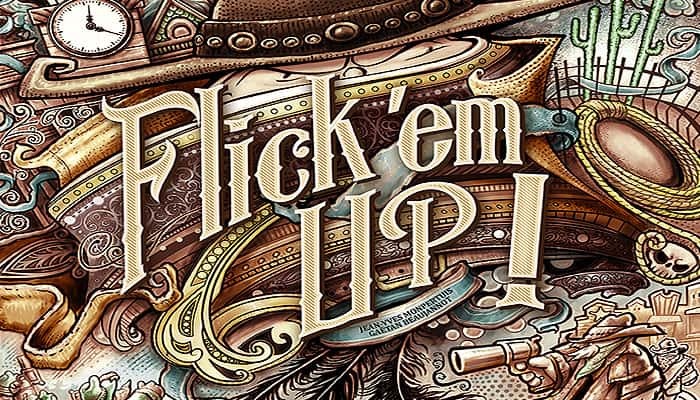 - a game whose immersive scenarios and exceptional components will transform your kitchen table into a rugged, ruthless town of the wild west. Load your Colt, take cover, and return fire. You're a darn fool if you think your enemies are about to show you any mercy. 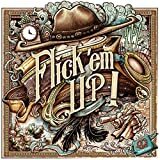 Whether you choose to terrorize the countryside with the likes of the Cooper Clan or stand by the Sheriff as he enforces the law and defends the innocent, Flick 'em Up! offers an exciting journey through the wild west that you won't soon forget! Relive the great adventures of the West, face your enemies in street duels, use different guns and tactics to get what you want. You can follow the scenarios or create your own-the choice is yours, cowboy!